PH tech firm Appsolutely launched its Token Generation Event (TGE) for its new virtual currency on Monday, December 11. The TGE will allow merchants and investors to purchase LoyalCoin, a digital token that aims to revolutionize loyalty programs and rewards points using blockchain technology. LoyalCoin’s TGE is one of over a dozen initial coin offerings (ICOs) launching today worldwide according to ICO Daily, a website that monitors coin and token offerings. As a term, ICO is generally associated with Bitcoin and its clones while TGE or “tokens” in general are associated with other digital currencies such as Etherium and XEM. It follows a few weeks after another Philippine startup Salarium launched an ICO for its SALPay Token. LoyalCoin runs on technology by Japanese and Singaporean blockchain firm NEM Foundation, which runs the XEM virtual currency, one of the 10 largest cryptocurrencies by market capitalization in the world. Throughout the TGE and the token pre-sale that happened over the past month, Appsolutely is selling up to 4.75 billion LoyalCoin tokens. Using exchange rates at the time of writing, the startup is aiming to sell over $34 million worth of digital tokens throughout the TGE. As of December 11, the company has already sold 500 million LoyalCoin tokens in its pre-sale, which began last November 17. Appsolutely will use the funds raised from the TGE primarily to expand its internal team as it takes its services into the global scale. 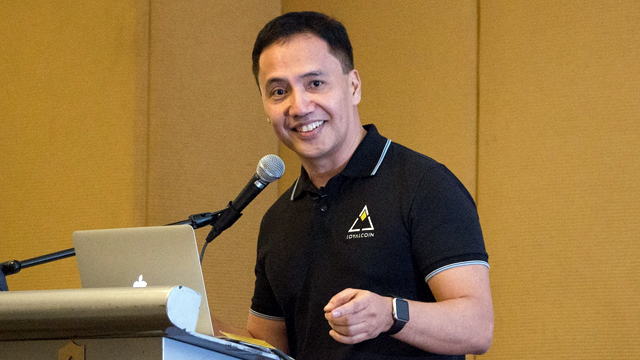 Established in 2013, Appsolutely has developed rewards programs, loyalty apps and a variety of digital services for big retailers in the Philippines such as Starbucks, Bench and Petron. It has currently served over 30 retail brands with a combined network of over 1,000 physical branches, and over two million consumers have used at least one of the company’s products. 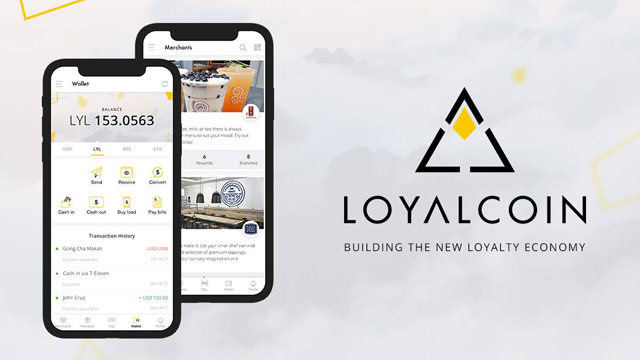 With LoyalCoin, Appsolutely aims to unify loyalty programs under one currency, allowing consumers to earn and use rewards points across a variety of retailers instead of only being limited to one brand. This not only gives consumers more incentive to visit shops repeatedly and subsequently to use rewards points they would otherwise only hoard, but it also enables merchants and retailers to reach a wider audience and establish customer retention easier. “As we eliminate the limitations of customer loyalty programs with our unified blockchain loyalty ecosystem where rewards from different brands can be easily exchanged, we will create a more engaging ecosystem that enables brands to create meaningful relationships with customers that results in their sustainable growth,” said Palacios in a statement. Appsolutely will fully launch LoyalCoin and its accompanying features—the digital wallet carrying these tokens called LoyalWallet and the network of merchants and retailers that will use these tokens called LoyalCoalition—early next year. The company’s roadmap shows that it will be launching these services in the US and Thailand in the first quarter of 2018 while targeting both Southeast Asian and European expansions in the latter half of next year. Interested individuals who wish to participate in Appsolutely’s TGE are recommended to view its whitepaper which provides more details about the company and its new blockchain-powered services. Appsolutely’s TGE launches only a few weeks after fellow blockchain-powered startup Salarium began its ICO for its SALPay Token. The two companies are seen to only be the beginning of a wave of ICOs and TGEs that will be launching in the Philippines in the near future. As well, Appsolutely is keen to increase public awareness of blockchain technology and its uses in business. It partnered with the NEM Foundation to launch the Appsolutely-NEM Blockchain Center early next year, which will serve as an education and incubation hub for students and entrepreneurs who want to learn more about blockchain technology. Have You Seen the New Php1,000, Php200 and Php50 Currency Banknotes?